Posted on May 29, 2014, in Uncategorized and tagged anxiety, fear, happiness, hope, life, love, Maya Angelou, quotes, self-worth. Bookmark the permalink. 36 Comments. Great post on one of my heroes! There’s even a beautiful Light in Dr. Maya Angelou’s eyes.. I noticed it right away in her face on the first frame of the video… What an enlightened soul! she was in a class all her own, and would never throw stones – but encourage us to be true to ourselves and in turn you become true to others. you have expressed the four truths so clearly andi thank you. That’s kind of you to say, thank you! And I agree, she was definitely a class all her own. Reblogged this on #watchreebwerk #healthyme. Thanks! She was certainly wise! What a lovely post, and how true. You have taken 4 wonderful and simple truths of Maya Angelou’s and written so well to them. Looking at #1 – yes, the first time. Isn’t that the challenge? And I love the video you chose – perfect. Into my mind popped something I saw yesterday. On the car parked next to mine was a small bumper sticker, and all it said was “Just be nice.” Maya herself might have put that there. Reblogged this on Unsung Heroes. It’s always the mystery of why the caged bird sings. Our loss is I believe her release. A great tribute to an inspiring lady. Reblogged this on BIPOLAR IN BLOOM. Such a detailed post! 🙂 But I loved your honesty. 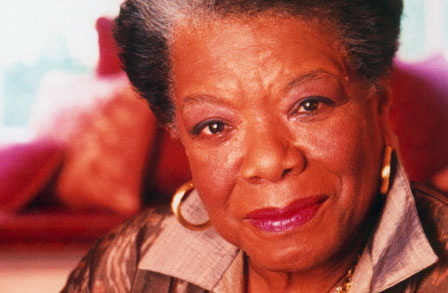 And what an amazing woman Maya was. Thanks for sharing. Great write up. And thanks for sharing the masterclass video clip. Great to hear her voice. And what you said about how she speaks slowly and deliberately, I agree…I want to hear more because she is so genuine. That’s how I feel as well. I love listening to her speak. RIP Maya Angelou – she had the rare power to change how people look at the world for the better, and she changed me, as a woman, as a human being. Sleep well. Good post. Going to mull over this one. 🙂 I hope the mulling went well! Wonderful post! I really enjoyed reading it along with watching the wonderful video that you posted. There is a lot of beauty in the world that we live in. Some people lose faith, drive, understanding, and overall enjoyment but it is very possible to find the wonders of the world if we simply close our eyes, enjoy the moment and take it all in. Well done :).